Field Order Press, 9780692287736, 312pp. There is a commonly held belief the tropical storms and hurricanes that form off the coast of West Africa are not natural disasters, but rather they are retaliation by restless spirits impacted by one of the darkest chapters of world history-the trans-Atlantic slave trade. Awiti's destiny was forever changed the day the slave raiders arrived at her village. She made a life-altering decision with the hope of being reunited with her family, only to discover her effort was in vain. For centuries, her sadness raged within the winds and rain, resulting in tropical storms that devastated the South. 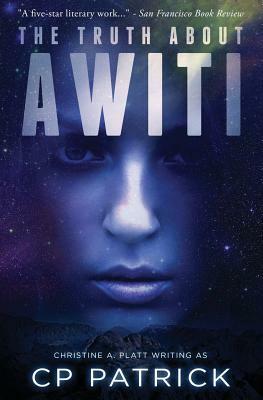 But there is more to Awiti than creating hurricanes, as those who have encountered her love and wrath will attest. The truth is, there is so much more. Follow Awiti's story from mid-15th-century Africa to 21st-century New Orleans in this historical fantasy that will leave you questioning the impact of the trans-Atlantic slave trade on the physical and spiritual realms. Christine Platt enjoys writing fiction and fantasy interwoven with African diasporic experiences. She holds a B.A. in Africana Studies from the University of South Florida, M.A. in African and African American Studies from The Ohio State University, and J.D. from Stetson University College of Law. Christine believes that historical fiction can play a critical role in education, particularly when teaching the history of the transatlantic slave trade and its lasting implications on race relations in America. She currently serves as the Managing Director of The Antiracist Research and Policy Center at American University.